One-in-four retail employees plan to change jobs in 2014. This was the headline of an eye-opening survey that I came across this past week. The survey noted that more retail workers are dissatisfied with their jobs and 24% (up from 20% in 2013) are looking to change jobs in 2014. Turnover can have some harmful effects on a retail business, including: wasted training time, less cohesive teams and lower sales. I’ve also read a lot lately about how many retailers are simply resigning themselves to the fact that turnover in their industry is just plain high. After doing all that they can to do to engage associates, improve management abilities and provide a favorable work environment, employees are still moving around – particularly as the economic climate improves. It’s just the reality of retail! I’m not saying that retailers should admit defeat, but I do feel that they should focus a little less on retaining and a bit more on onboarding. In fact, I believe that onboarding should be their first step in the their retention strategy and should be treated with the same amount of respect as internal communications or performance support. 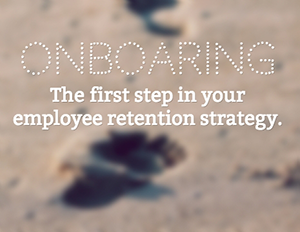 The better you onboard an employee, the more likely they are to stay! This requires taking a more innovative, fresh and engaging approach than what most organizations do. 1. You can’t water a plant all at once – It will quite literally drown if you do. Think about how a new employee must feel when you feed them a whole load of information about their job all at once. Science has proven that plants needs to be fed water at regular intervals over time in order to survive; similarly, science has proven that employees are more likely to retain information when it is reinforced in regular intervals over time. 2. Throw out the binder – A new employee might quickly read through a big binder, sign and date at various points to acknowledge that they’ve read the information, but how do you as an employer know that they have understood the information? Unless you continually test and reinforce the information you simply don’t know. A more engaging approach would be to take the exact same information that is in your binder and present it to your employees in a more digestible format using structured gamification to support it. A lot of big retailers have already started using this approach and are seeing tremendous results. 3. Make learning social from the start – Turnover can have harmful effects on employee morale and this might make it hard for a newcomer to find his or her place on a team. You can combat this by ingraining social learning into your culture. As an example, if you were to gamify your training and have a leaderboard to show who on your team is potentially the most knowledgeable on certain topics, this would make it easy for new employees to seek out the leaders and further their own knowledge. What ideas do you have for a better onboarding process? 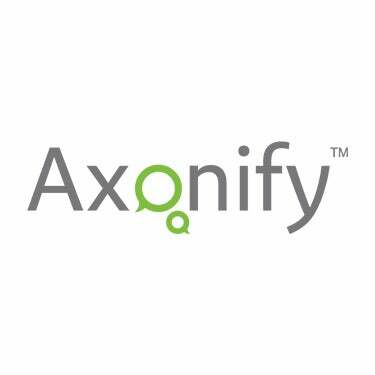 Share them with us @Axonify or in the comments below.